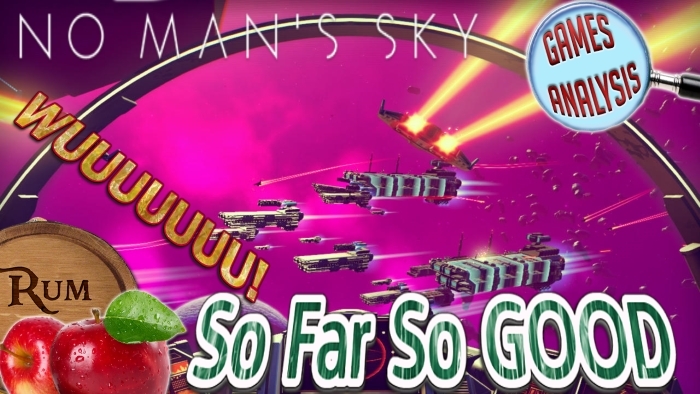 After watching Hello Games No Man’s Sky presentation a few questions have been answered Murray claimed the game is a “universe-sized sandbox”, there are lots of space battles all over the universe between warring factions. One thing pretty note worthy was how mother f’n big this game is. A truly terrifying aspect of the game is the sentinels on planets that protect it from the player. Pretty much skynet coming to blast you to pink bits of goo. So far so good No Man’s Sky I think I will be a space pirate in this game. No Man’s Sky still has no release date–Murray said one is coming soon–but it will be releasing first on PS4. June 16, 2015 in Editorial.